A judge has slammed the actions of a government-contracted welfare agency as “shoddy” and “shameful” in removing a six-year-old girl from her foster carer on the flimsy claims of her mischievous older brothers. In an extraordinary abuse of due process, the agency acting on behalf of the Department of Family and Community Services shunned the advice of the NSW Ombudsman in acting on a “deeply flawed” probe in which investigators cut corners to save money. As a result of the children’s removal, the NSW Children’s Guardian cancelled the innocent woman’s working with children clearance. Meanwhile, the embattled carer sold treasured belongings to fund an expensive, drawn-out legal quest to have the child returned. The woman is an assistant nurse who has been the primary carer for the girl since she was 10 days old, and has cared for the boys for several years. The agency – its name suppressed to protect the children’s identities – is a significant care provider in NSW. Following a number of separate legal matters, the woman argued for the child’s return in Children’s Court proceedings, which were the subject of a successful appeal in December 2017. She has spent more than $100,000 in legal fees to win back the child but was only able to recoup a meagre $23,000 in costs after winning the appeal. In his scathing March 29 judgment awarding the carer costs, NSW District Court Judge Leonard Levy SC described her treatment as “unfair and unjust” and urged FaCS to pay her extra money in a show of good faith. “The underlying investigation was flawed and unbalanced,” he said. 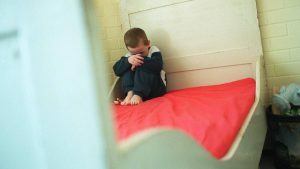 The removal of the children occurred against the backdrop of a 2013 claim of abuse made by at least one of the brothers, who was known to have behavioural difficulties and lie when in trouble. It was investigated by the agency and found to be unproven. On August 31, 2015, the two brothers made more claims of ill treatment, and all three children were removed from the woman’s care pending the outcome of the fresh probe. The children were then permanently relocated “after more than six years of continuous care by the appellant, and as a consequence of what I have found on appeal to have been a deeply flawed care agency investigation report”, Judge Levy said. The court heard the agency ignored a list of witnesses put forward by the woman because of the travel costs involved in interviewing them, producing a one-sided report that “amounted to little more than a list of concerns”. “It is one thing for the care agency to have so glaringly abrogated its investigatory responsibilities by deciding not to take statements from witnesses who would have potentially exculpated the appellant. “The investigator explained that circumstance on the shameful grounds that his manager had decided the cost of pursuing further investigations contradicted that course,” Judge Levy said. When the Ombudsman raised concerns over the probe, the agency blatantly disregarded the advice of the independent arbiter. In a shocking turnaround, FaCS eventually conceded the investigation report was “borderline worthless because of the fundamental failure to afford procedural fairness”. The woman sold her car, jewellery, furniture, borrowed money from her son and moved into her daughter’s home to conserve her wages to fund the legal battle. Her lawyers also greatly discounted their legal bills. During the appeal lawyers for FaCS said the child was comfortable in her new home. They also accused the woman of being difficult with professionals and claimed there were still question marks over the unproven abuse claims. “The ‘question marks’ that arose were shown on appeal to be, if not baseless, then so unfair, as to be unreliable, due to the underlying shoddy nature of the care agency investigation,” Judge Levy said. In his findings, he said many of the claims against the carer amounted to “unsubstantiated whispers” and described her as a “robust advocate for the child’s needs when dealing with teachers and health care workers”. A new care plan reinstating the child with the carer was approved this year.